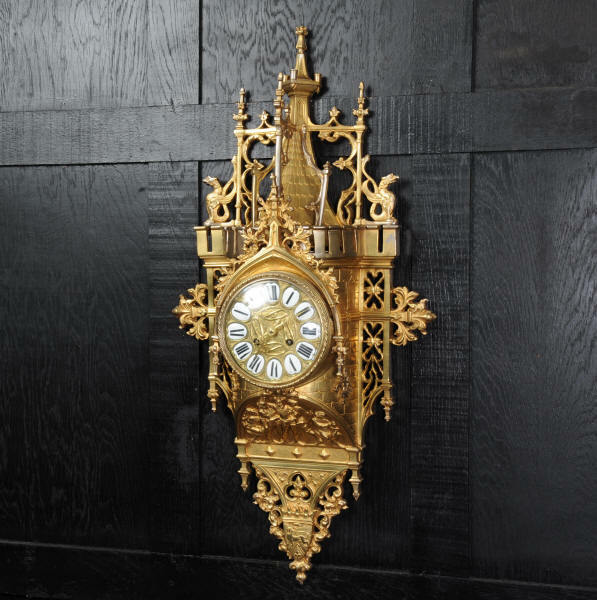 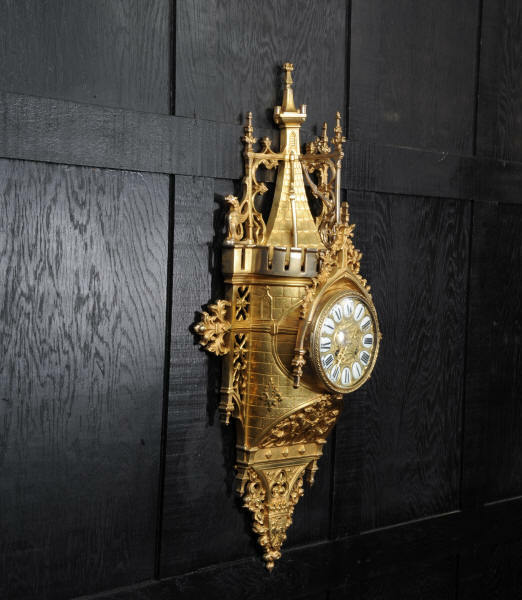 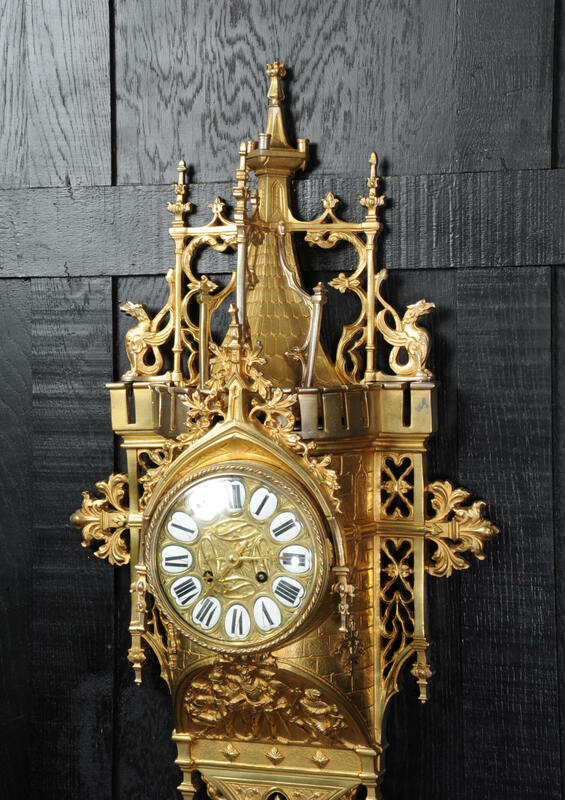 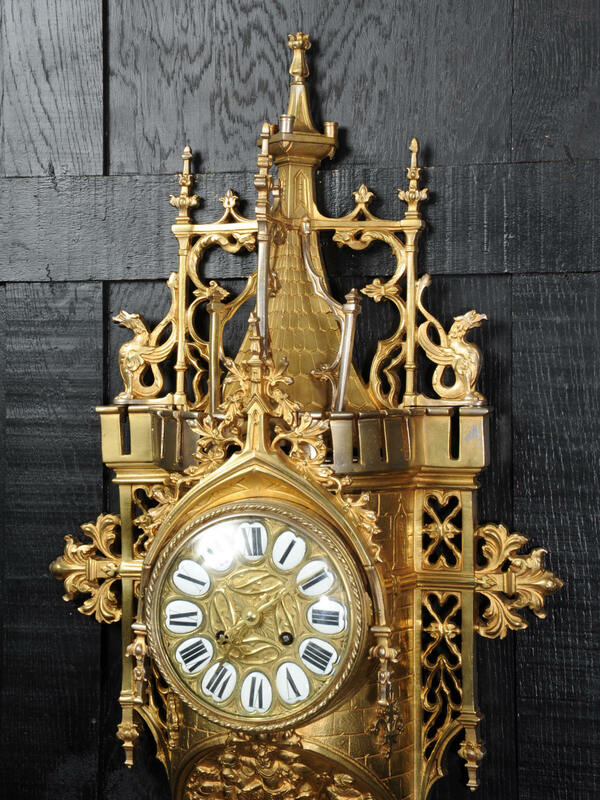 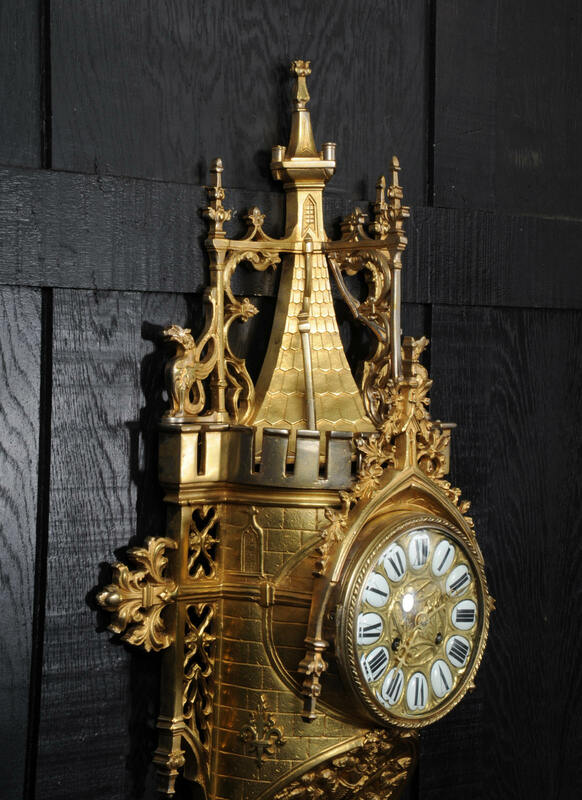 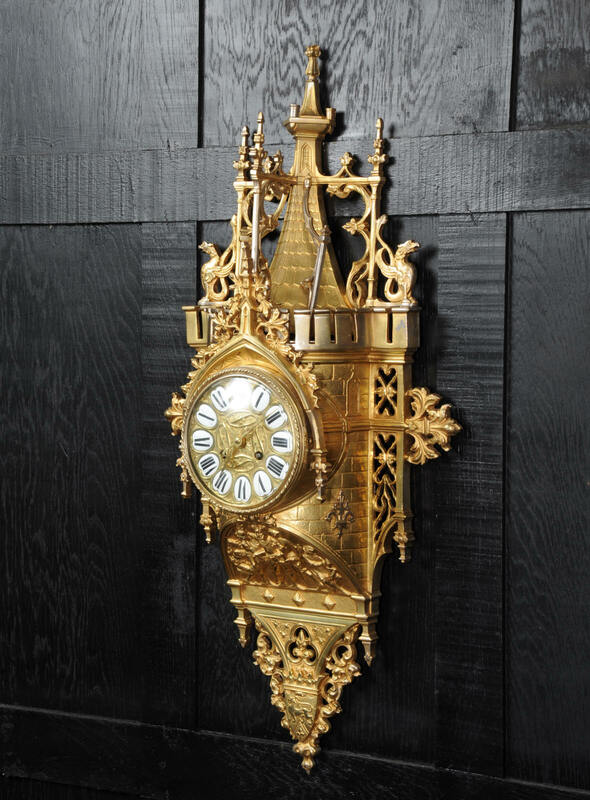 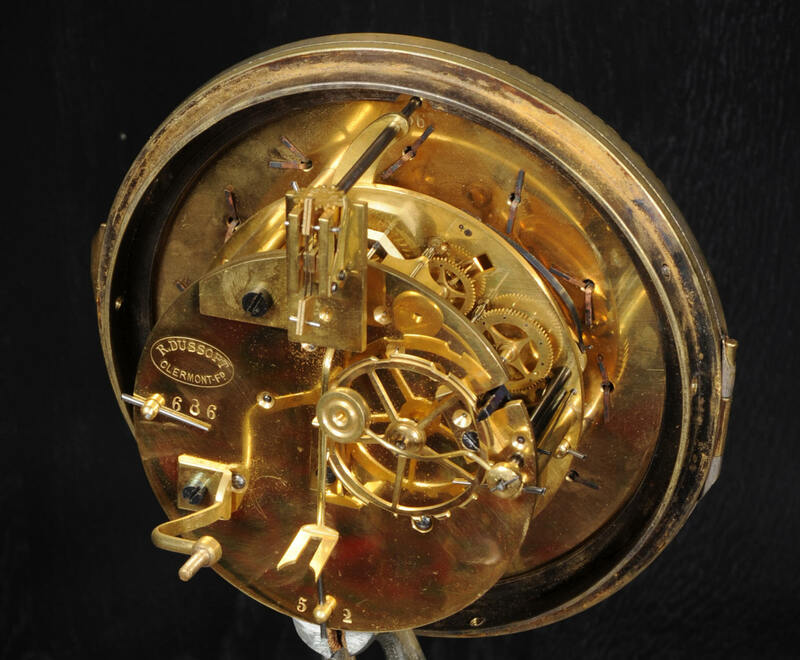 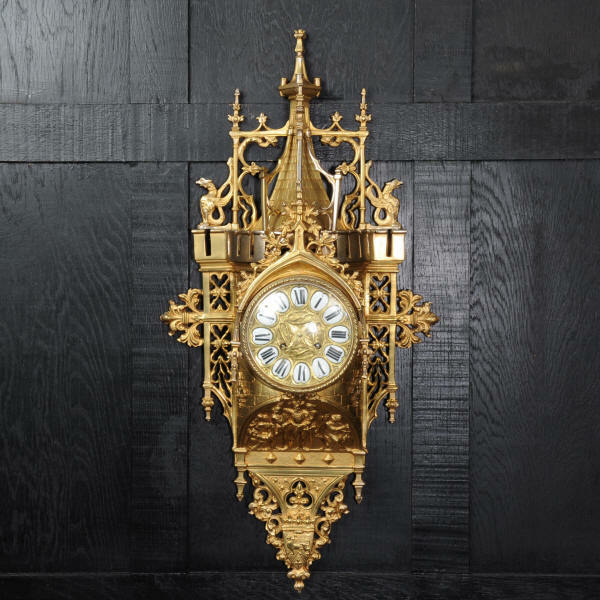 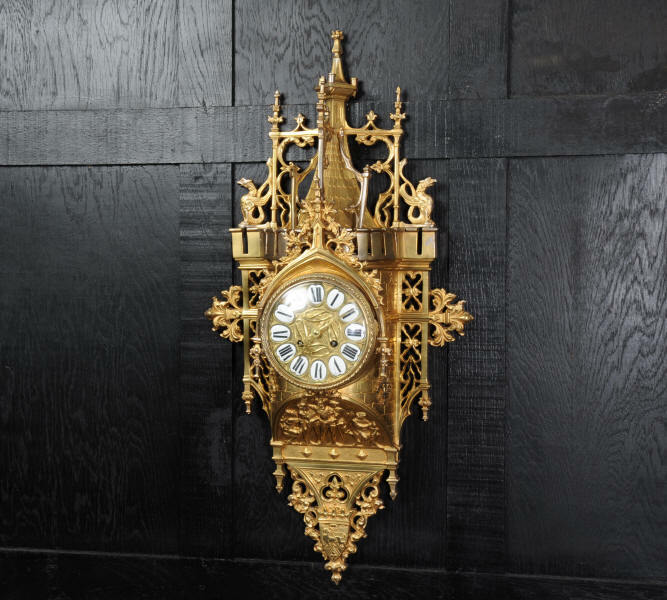 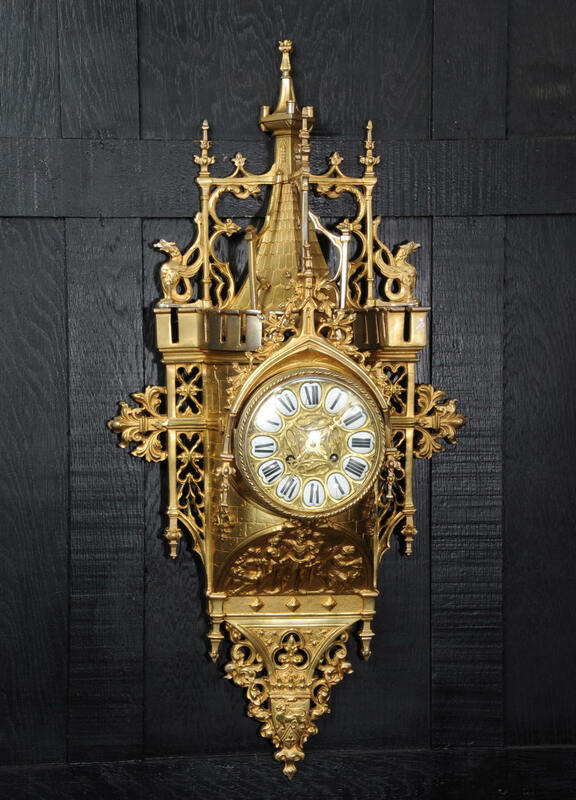 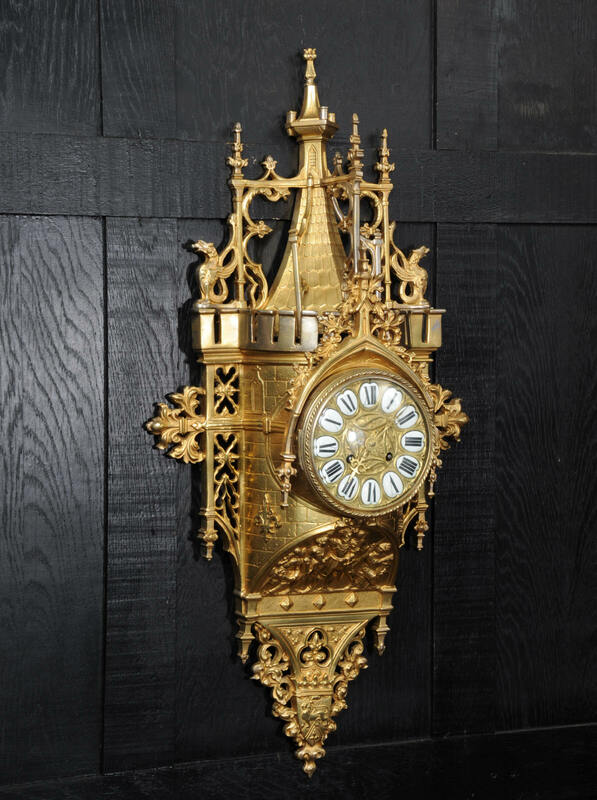 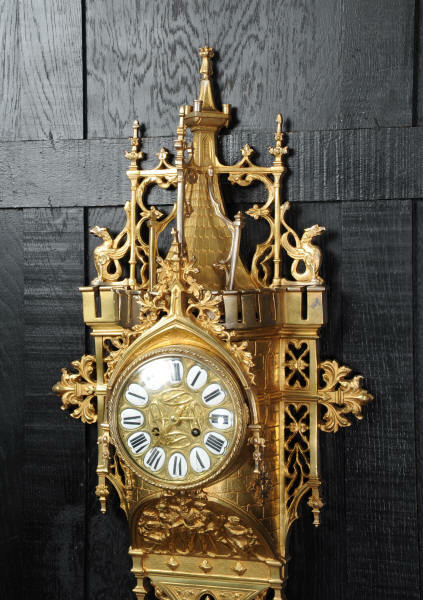 A stunning and rarely available original antique French Gothic wall clock. 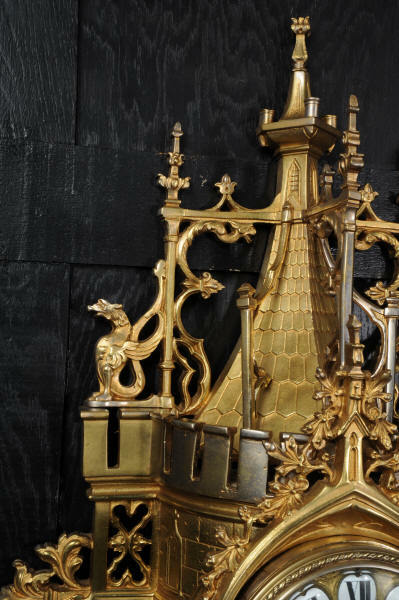 Modelled in gilded and silvered bronze with beautifully defined Gothic detail; fine tracery, carved leaved, gargoyles, mythical creatures and heraldic motifs. 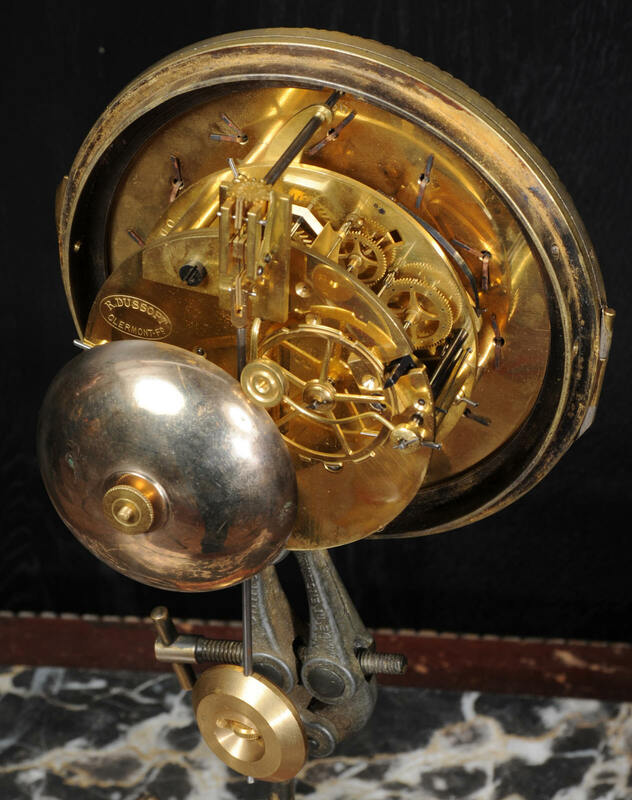 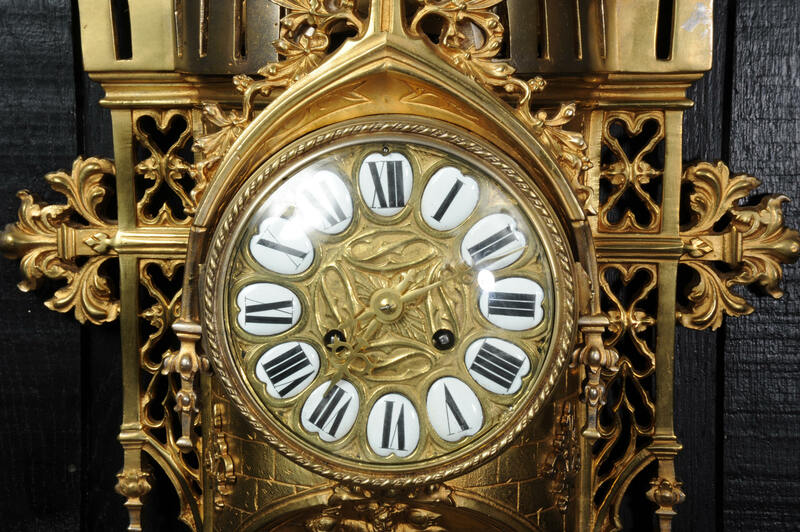 The dial is modelled as a window with pointed arch and intricate carving. Below is a panel with a scene of warriors. Above is a soaring roof with flying buttresses. 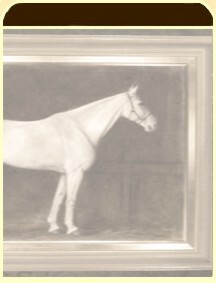 When made the clock was gilded and then highlighted in silver, this has mellowed to a pleasing antique finish. 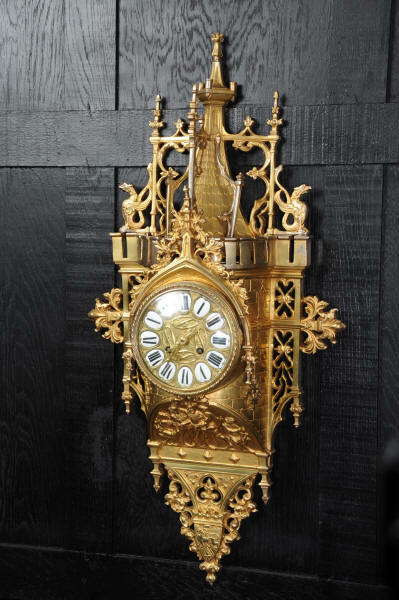 The dial is gilded bronze mounted with 12 individual porcelain enamel cartouches in the traditional French practice. 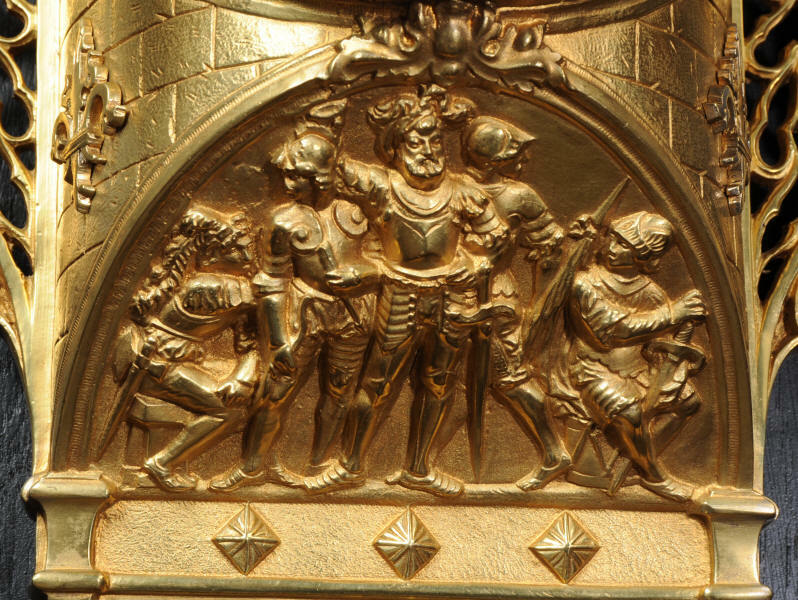 Hands are finely cut brass. 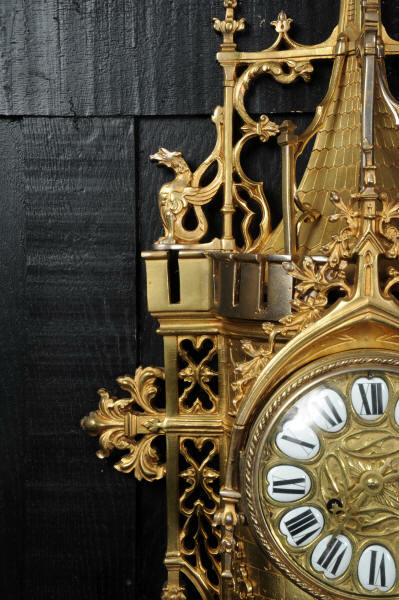 Condition of the case is excellent, the original gilding is clean and bright, the silver highlighting has worn and mellowed over the years and gives a pleasing contrast and age to the piece. 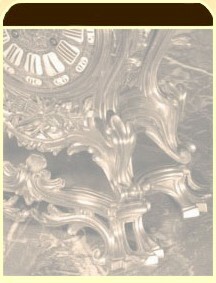 There are some slight distortions to finials. Dial is excellent with no damage. 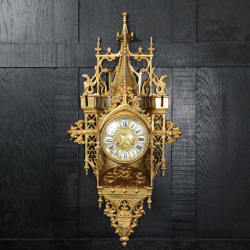 Height 28 1/2", Width 14 1/4", Depth 5 1/2"